The Alhambra Theatre is regarded as the North's premier receiving venue and hosts the best in large scale entertainment from international dance to musicals, drama and Yorkshire's biggest panto. The venue seats 1,400 people and is a popular choice for major touring companies including Northern Ballet, Disney, the National Theatre, Royal Shakespeare Company, Matthew Bourne's New Adventures and Cameron Mackintosh. 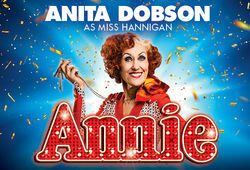 It has staged major West End shows including The Lion King, War Horse, Billy Elliot, Wicked and Mary Poppins. It is a member of The Dance Consortium, a group of theatres who work together to bring the best in international dance to the UK. The Alhambra Theatre, the jewel in Bradford’s crown, was the vision of Francis Laidler, a local impresario. Laidler had the idea and vision to build a brand new theatre in 1912 and it was two years later that his dream was realised. The Alhambra Theatre was officially opened at 2pm on 18 March 1914. 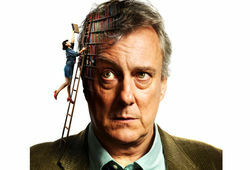 Five days later, it opened its doors to the general public on 23 March for a Variety show, which ran for a week. Through the golden age of variety, the 1980’s refurbishment and up to the present day, the Alhambra Theatre has had a wonderful and varied history. 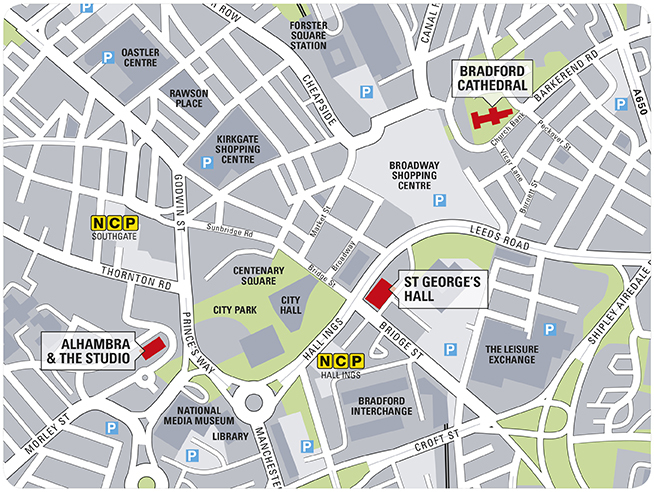 It remains an iconic venue, attracting the very best in star names and live entertainment to the city of Bradford. 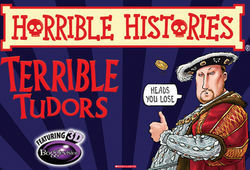 You can read more about the Alhambra Theatre's history and the 100th year celebrations here. 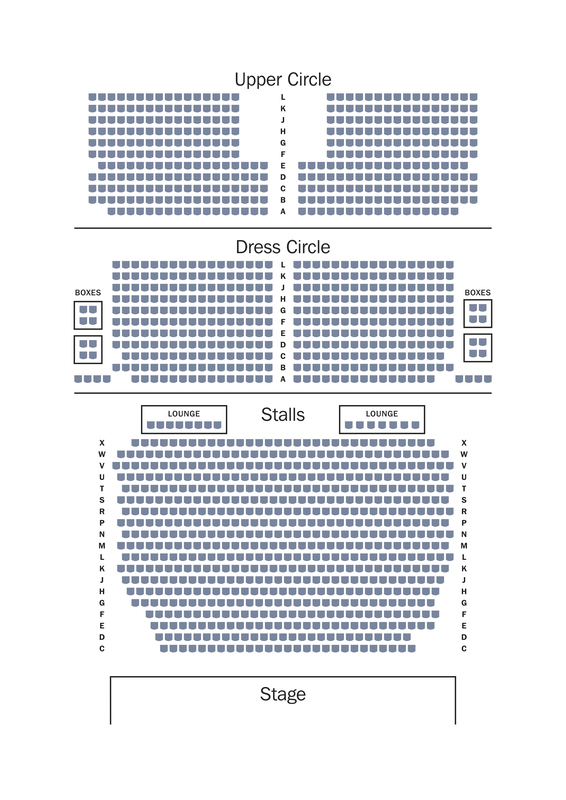 You can download a PDF seating plan by clicking here or on the image opposite. 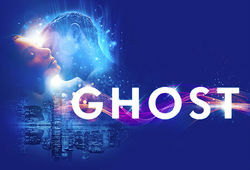 Ghost The Musical comes to Bradford. There are many car parks located in Bradford City Centre.